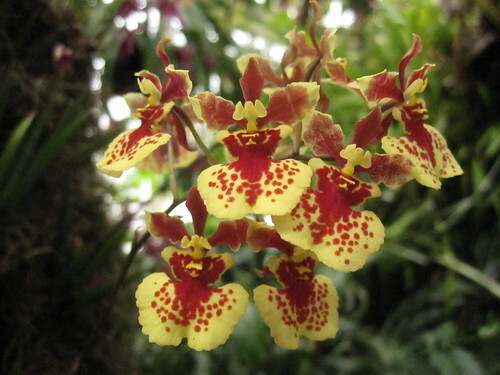 These Caribbean natives were known as equitant Onciciums until the mid-1980s, when they were reclassified as Tolumnia. 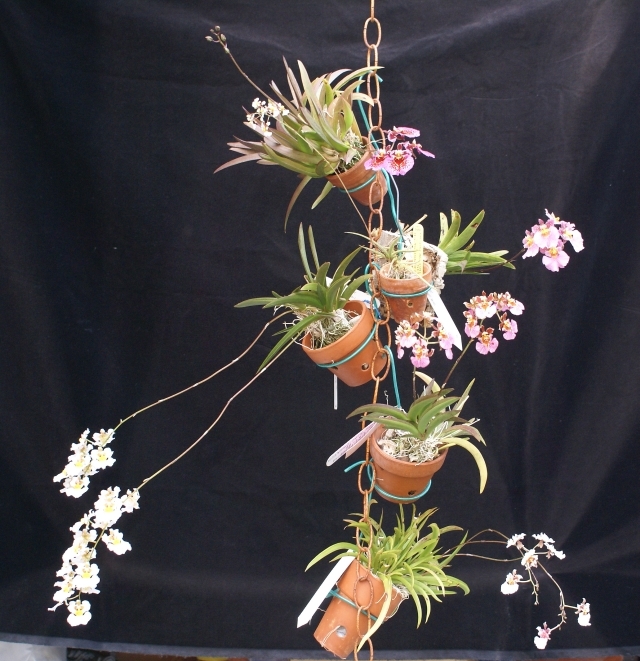 They are very compact plants—just a scant 3 or so inches tall—that can be grown in the home, either potted or mounted. The two in my collection are potted: one in charcoal and the other with no medium at all. 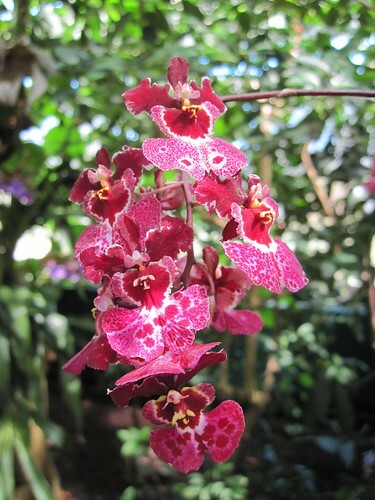 These orchids like high humidity and almost daily watering, depending on the medium. At the very least, I mist my Tolumnias daily and usually end up watering them at least twice a week. To be honest they would probably do better with a full on watering every day or two. 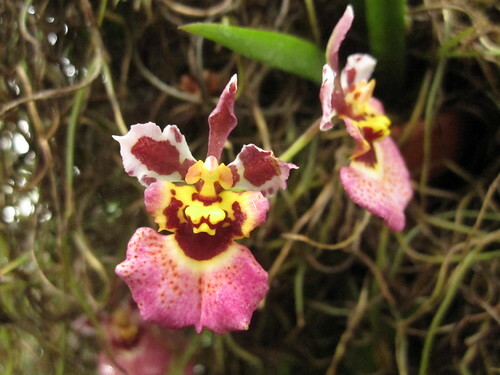 Let’s take a look at some photos of these adorable little orchids! So there you have it. Happy Hanukkah, Merry Christmas, Happy Festivus, Kwanzaa, Yule, or whatever else you celebrate! 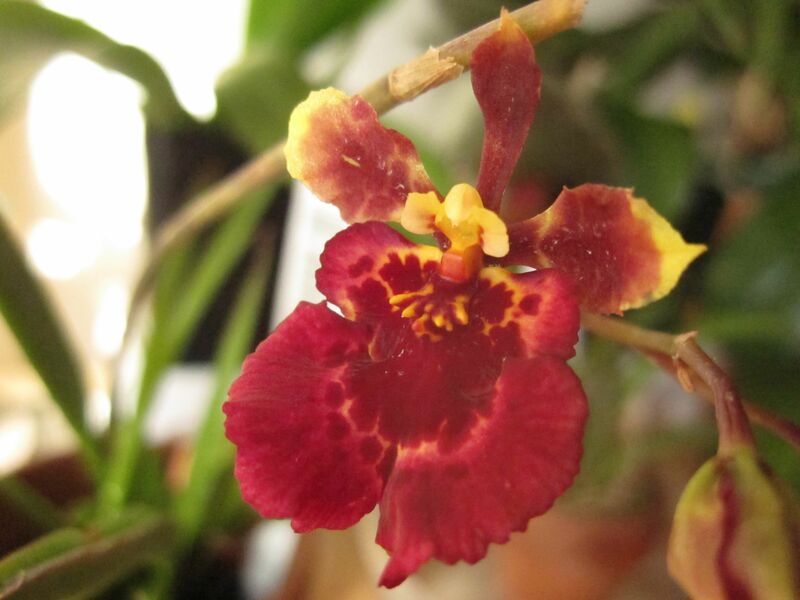 ← Quick Update: New Tolumnia Spike! 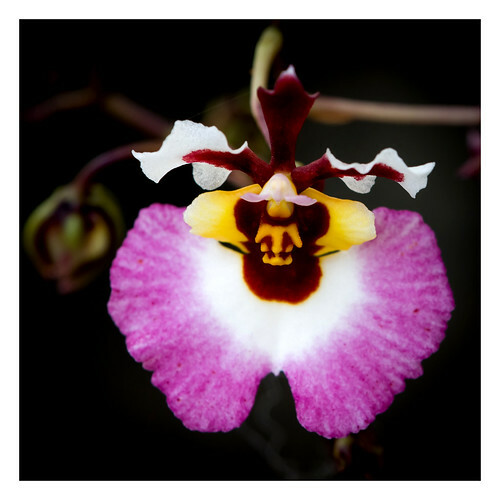 Tolumnia are gorgeous! I have always been leery of owning one, seeing that my home is so dry during the winter. What are the conditions where you have it growing? P.S. Your site is great! Keep up the good work! Hi Bob and THANKS for the compliment, I really appreciate it! My home is very dry in the winter too — the humidity level has been around 20-30% when I don’t have the humidifier on. I usually water both of my Tolumnias about twice a week, but I also mist each one daily. One of them is in spike and developing buds (YAY!) and I’ve recently moved the other into an open top terrarium-type container, which is keeping it more moist. And I have southern exposure, so my orchids get a good amount of light. 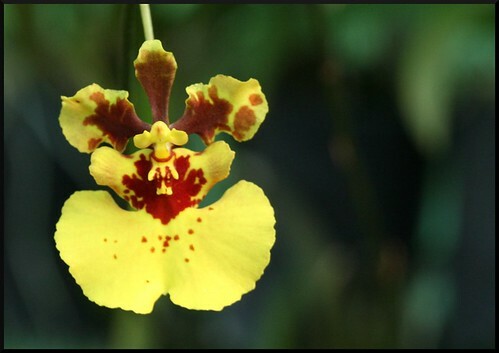 I’d say give a Tolumnia a whirl, just make sure to mist it daily. Happy growing!